If you know in advance that you are unable to sing in a concert please let the Secretary know as soon as possible; names of those intending to sing are needed in advance to ensure accurate seating. We are lucky to have purpose-designed staging in Holy Trinity Church, which means that all singers should be able to see the conductor without problems. This is unpacked and assembled on the Friday morning prior to a concert by a band of volunteers. On Saturday morning, a few people are needed to arrange the chairs. Staging and chairs are all dismantled/stacked immediately after the concert so that the church can be used for services the next day. Help is essential for all four of these processes. With plenty of helpers, ten to twelve, women as well as men, each task takes just over half an hour. The helpers usually have coffee together in the church coffee room after the Friday and Monday sessions - a good chance to meet choir members from other voice parts. Volunteers are asked to sign up to help over the last few Monday practices. This is held in Holy Trinity church on the afternoon of a concert day, from about 2.30pm to 5.00pm, and with the orchestra, if applicable. Exact times for the rehearsal vary and are announced in the last Monday practices. Attendance at the final rehearsal is essential. It is when seating is decided and sits and stands are finalised. It is also the only chance to experience the acoustic of the church and to work with the orchestra or organ. It is helpful to arrive at least 10 minutes before the stated start of the rehearsal . However, it is important not to disturb the orchestra who are often already rehearsing. Bottles of water are welcome at the rehearsal, but for the performance please only use them discreetly in, for example, a coughing emergency. Refreshments are available in the interval. If it is essential, you may keep mobile phones on during the rehearsal, but please put them to silent mode. Please do not take mobile phones or pagers into the concert. There are toilets upstairs at the west end of the church. A lift is available. 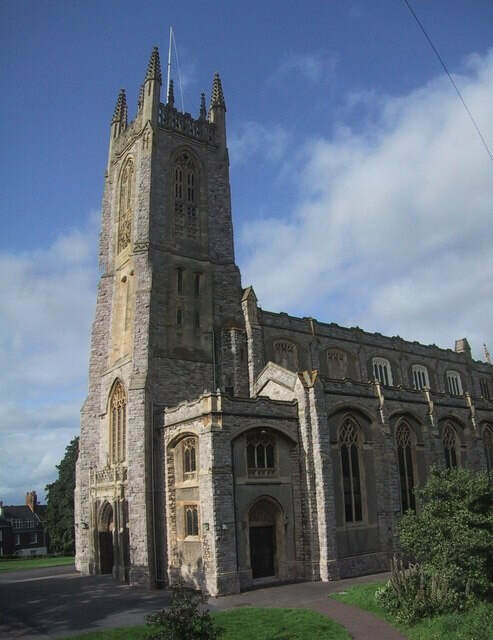 Parking in the church grounds is limited, so it would help if you can car share and park in the surrounding streets. Please leave the church parking for people with mobility problems. If you do need to park in the church grounds, the way in is at the top end of Bicton Place at the junction with Beacon Place and the way out is into Rolle Street. It is a one-way system. If the ground is firm enough, the church allows car parking on the grass. In our climate, it is safer to assume this will not happen. Volunteers staff the front of house roles, selling tickets and programmes, and acting as ushers. Parking attendants are also required if we can park on the grass. These volunteers are friends from Holy Trinity and partners or friends of singing members. The Secretary would be pleased to hear of anyone who would be willing to fulfil any of these roles. Anyone who does not have time to go home between the rehearsal and the performance can usually find somewhere in the church to eat a sandwich and have a drink (which they need to bring with them). There is some space for communal changing. Ladies: all black, with a touch of red. Trousers or long skirts. Sleeves below elbows. The touch of red will be a corsage of three roses, which will be supplied. Men: black dinner jackets and trousers (or darkest possible suit), white shirt and black bow tie. The touch of red will be a breast pocket handkerchief, which will be supplied. Please note that all your personal belongings are your sole responsibility. We suggest that you bring the absolute minimum with you. If ladies have a handbag with them, please take only a very small clutch bag onto the stage. Because we are often using different editions of the scores, music should he held in a black folder. If you do not have a folder, please ask the Secretary, who has a supply. You are encouraged to purchase one for £6; or you could try one out (for £1). assemble in the green rooms by 19.05 to deposit coats, bags, etc. Soprano/Tenor in the north (organ) vestry; Alto/Bass in the south (choir) vestry. move to the mezzanine by 19.10 for a brief warm-up with LB. enter in formal procession, to be in place on stage by 19.28.
remain standing until instructed to sit. If so instructed, remain seated until LB and soloists enter, standing on cue from front. leave in formal procession to each green room after Soloists/LB leave. Refreshments are usually available upstairs, courtesy of the church volunteers. It is fine to go and join your friends in the body of the church, or upstairs, but please note that we process off the stage to the vestries at the end of the first half, and back on again after the interval, so please get back to your vestry in plenty of time. There is usually a five-minute warning. remain standing (or will be invited to stand by LB). leave in formal procession to each green room after Soloists/LB leave for the last time; cue from front row. At the end of the concert please leave your music in the appropriate boxes which are placed in the vestries so that the librarian can collect it. If you become aware in advance that you will not be singing in the concert please return your scores to the Librarian, via another member if necessary. The library imposes a fine if we do not return the scores on the designated date. Volunteers are also required at Holy Trinity on the following Monday (at the same time the staging is stored). This is to assist our Librarian with the erasing of pencil marks from the scores prior to their return to the library.